Lucas Valeriu Ntuba Radebe was born in Soweto, South Africa. He was the fourth of 11 children and was sent to Bophuthatswana by his parents to get him away from the violent surroundings of the city. At the age of 20 he was recruited by Kaizer Chiefs where he started as a goalkeeper before switching to midfield, then finally settling at centre-back. In 1991 Radebe was shot while out shopping for his mother. The bullet entered his back and exited halfway down his thigh but amazingly did no major damage and he made a full recovery. 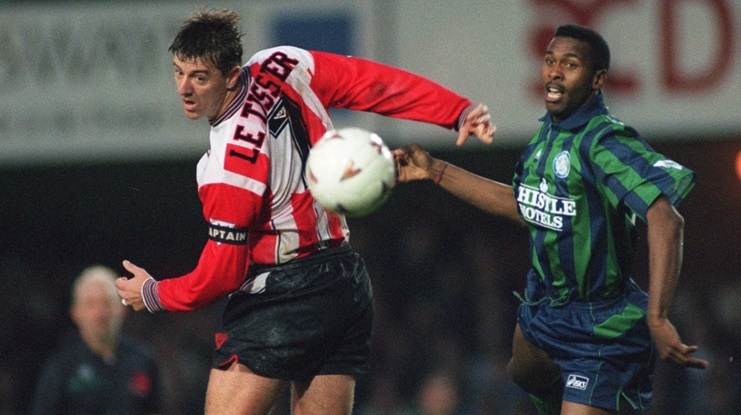 The incident was a considerable factor in Radebe’s decision to join Leeds three years later. Many fans will vividly remember Radebe’s incredible performance in goal against Man United in 1996. Mark Beeney was sent off for handling the ball outside the area in the 17th minute and with no substitute keeper on the bench, Radebe stepped up. Andy Cole and RyanGiggs were both superbly denied byRadebe before Roy Keane eventually scored the winner. Leeds lost the game but Radebe had earned the respect of thousands across the land and further endeared himself to the Elland Road faithful. 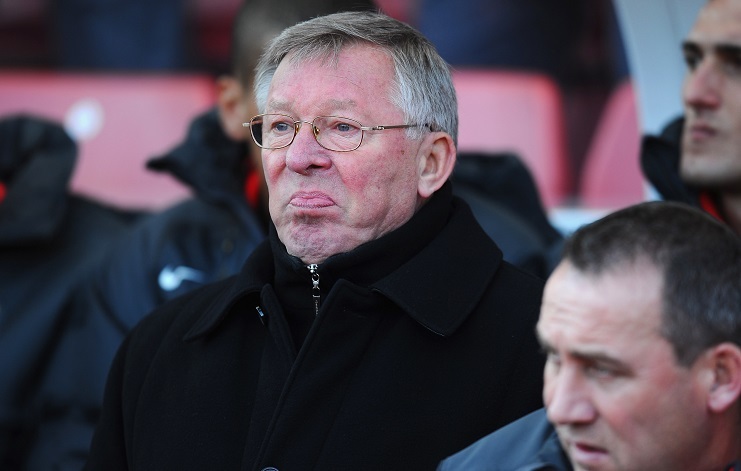 The aftermath of the game is remembered for Ferguson’s comments about Leeds, suggesting The Whites upped their performance especially for Man United and that they probably wouldn’t play to a similar level against Man United’s title rivals Newcastle a week after. This led to perhaps the most famous post-match interview of all-time when Kevin Keegan nearly combusted with rage. 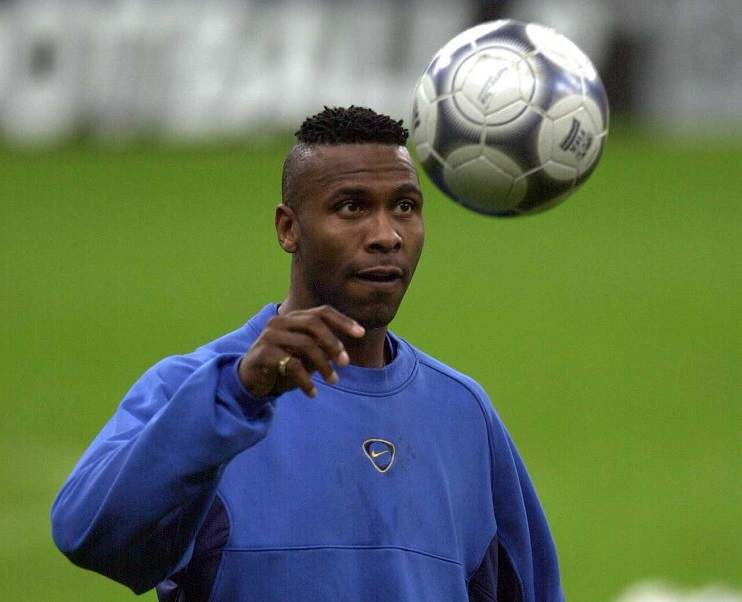 Who would have thought Lucas Radebe was at the heart of this unforgettable moment? Years later Alex Ferguson tried to tempt The Chief across the Pennines but he remained fiercely loyal to Leeds. Roma and AC Milan also made enquiries as Radebe added consistency and reliability to his supreme instincts and natural timing. 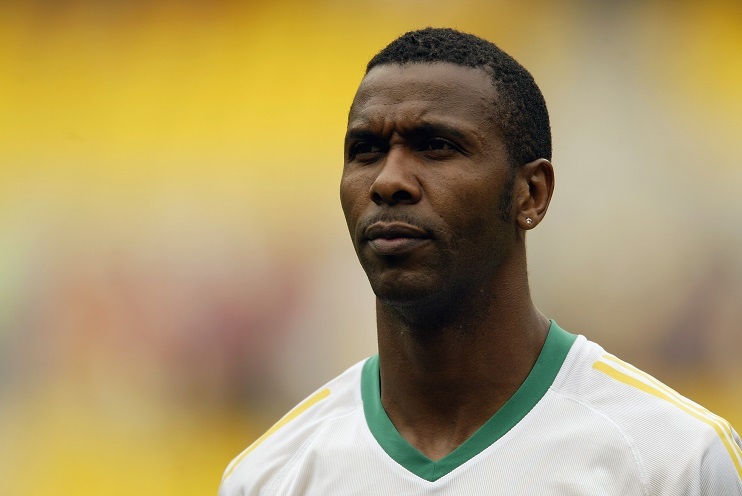 In 2000 Radebe suffered serious injuries to his knee and ankle which sidelined him for nearly two years. 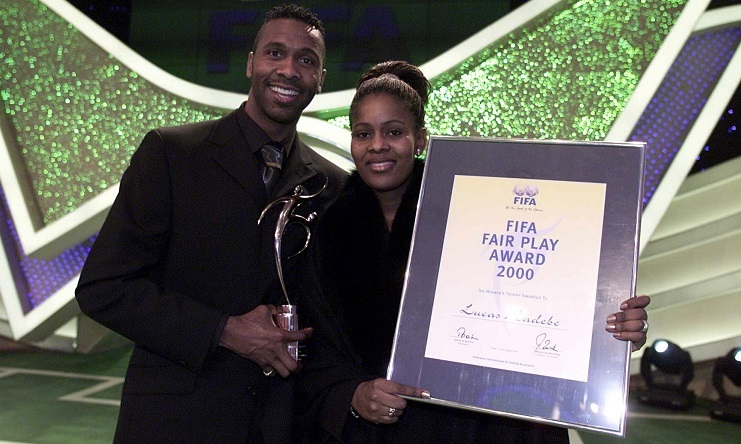 That same year he was awarded the FIFA Fair Play Award for his part in tackling racism in football. From then on his form wavered as it became obvious the injuries had done lasting damage but still he continued to give everything for his club and country.